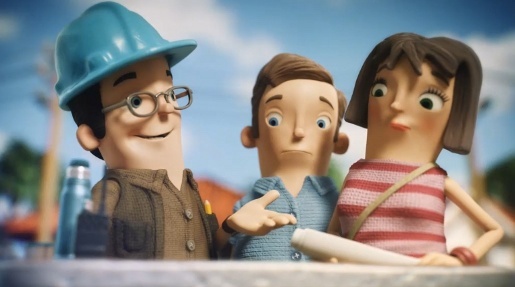 The Victorian Government in Australia is promoting its Consumer Affairs advice on building and rennovating homes through an animated television and online advertising campaign. A woman and her family consults with the building team on the site of their new house, confident that they’ve done the homework. 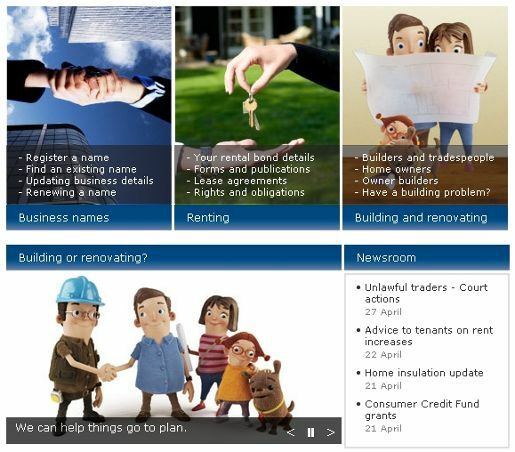 The figures from the television commercial are integrated into the Consumer Affairs site, appearing in sections relating to building and rennovation. Homework was developed at Grey Melbourne by creative director Ant Shannon, deputy creative director Brendon Guthrie, head of art Tim Holmes, producer Jess Smith, business director David Dumas, senior account manager Tim Clark. Animation was directed by Derek Picken via XYZ Studios, Melbourne, and againstallodds, Stockholm, with executive producers Hamish Macdonald (XYZ) and Josh Thorn (AAO), producer Fritte Coliander. 3D & post production was done at Milford, Stockholm, by producer Johan Gustavsson, production manager Måns Björklund, VFX supervisor and LOOK developer Robert Krupa, 3D team Sebastian Ekman, Jonas Laurell, Dan Faxe, Calle Halldin, Laurent Clermont (AAO), Hannes Drossel, Daniel Holmgren, Daniel Bystedt, Gustav Tell, Kenneth Nyman, Kristian Mårtensson, Patrik Hålén and Pär Andersson, 2D Team Fredrik Pihl, Soﬁe Ljunggren, John Wallin and Kevin Grady (AAO). Music was produced at Nylon Studios, Sydney. Voiceover is by Marcella Russo at Em Voices.